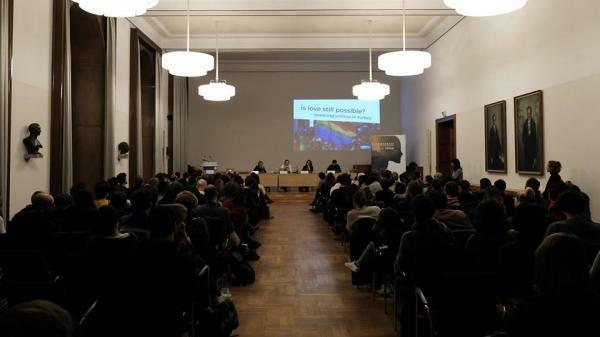 Oppressive regimes, right-wing populism and utopias were discussed in Berlin Humboldt University. Why don’t they just allow me to look like and behave how I wish? Even my closest friends give me the things which I fear most. Why do they act like my appearance has to determine my gender? Turkish Directorate of Religious Affairs responded the questions about LGBTI+s with hate speech. We see Kostopoulos’ murder as a consequence of the rise of fascism in Europe and in many other parts of the world. Minute by minute: What happened during Istanbul Pride? 6th İzmir Pride March: Firmly, with determination and enthusiastically! Istanbul LGBTI+ Pride Week Begins! Manisa’s First LGBTI initiative 7 KAT is established! The only way is social peace, equality, freedom and justice! We dispersed on every street for the 14th Istanbul LGBTI+ Pride March! Despite the Governorate’s ban, Izmir holds the Pride March! Homophobic obstinacy of Ankara Governorship: They banned the IDAHOT march twice! 11th International Anti-Homophobia Meeting: Desire challenges the world!